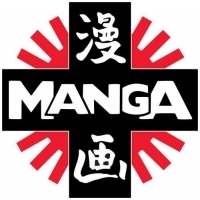 A short description about the company “Manga Entertainment Ltd.” would help many anime and manga fans learn more about this company. Do you know what “Manga Entertainment Ltd.” is all about? Then feel free to add a description to our database using our entry form. We’re looking forward to your contributions! Movie, 1 (2018)Dragon Ball Super: BrolyToei Animation Co., Ltd.
Movie, 1 (2018)My Hero Academia: Two HeroesBONES Inc.
TV-Series, 24 (2018)Darling in the FranxxTrigger Inc., A-1 Pictures Inc.
TV-Series, 22 (2018)Cardcaptor Sakura: Clear CardMADHOUSE Inc.
Movie, 1 (2018)Love, Chunibyo & Other Delusions! Take on MeKyoto Animation Co., Ltd.
TV-Series, 24 (2017)The Ancient Magus’ BrideWIT STUDIO, Inc.
TV-Series, 102 (2017)Black CloverPierrot Co., Ltd.
Movie, 1 (2017)Pokémon The Movie: I Choose You!OLM, Inc.